When Jesus said, “What therefore God has joined together, let no man put asunder” (Mt 19.6), presumably he meant it. Certainly the Catholic Church believes he did, and that conviction is the basis for its solemn teaching that sacramental marriages are indissoluble. There are of course many variations on the theme of the divorced Catholic without an annulment who marries again. Some of these people were the responsible parties in the breakup of their first marriages and aren’t troubled about violating the Church’s teaching now. But others were the injured parties. It’s natural to feel sympathy for those in this second category, who, having entered into a new union without an annulment, find themselves in a state of estrangement from the Church that includes being cut off from receiving communion (unless they separate from their second partners or forgo marital intimacy). Now a well-intentioned, but not necessarily wise, proposal by some German bishops for handling this pastoral problem is causing serious concern among those who fear further erosion of the indissolubility of marriage as a likely result. At the plenary assembly of their episcopal conference next month, the bishops of Germany will consider a set of guidelines allowing divorced and remarried Catholics to be readmitted to the sacraments in “justified individual cases.” The guidelines are expected to pass. Already one German diocese, the Archdiocese of Freiburg, has drafted, and apparently adopted, guidelines of its own. This is hardly a bolt from the blue. Prominent figures in the German hierarchy have been arguing for something like this at least since 1993. Up to now the response from Rome has been no. Indeed, as early as 1981, in an apostolic exhortation on marriage and the family, Pope John Paul II reaffirmed the Church’s practice—which, he noted, is “based on Sacred Scripture”—of not giving communion to the divorced and remarried. John Paul cited the potential for “error and confusion regarding…indissolubility” as a secondary reason for this stand. The argument was repeated last October in the pages of L’Osservatore Romano, the Vatican newspaper, by Cardinal-designate Gerhard Mueller, the German prefect of the Congregation for the Doctrine of the Faith. Publication of the article, he noted, was approved by Pope Francis. 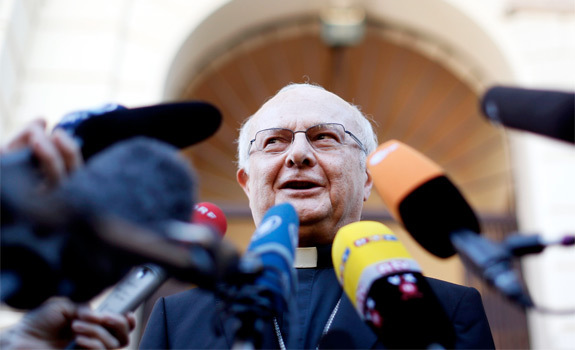 Archbishop Robert Zollitsch, apostolic administrator of Freiburg and president of the German bishops’ conference, brushed off the CDF prefect’s remarks. The Germans, it appears, are determined to proceed, no matter what. 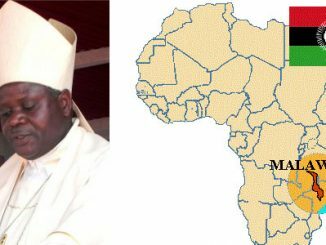 This haste seems strange considering that an extraordinary assembly of the world Synod of Bishops next October and an ordinary Synod assembly a year later–both of them convened by the Pope–will focus on marriage and family. The pastoral problem of the divorced and remarried is certain to come up for discussion in this eminently collegial context. Not only that—for two days before the February 22 consistory at which Pope Francis will elevate 19 men to cardinal, the College of Cardinals will meet and discuss the subject of marriage. That would be a good time for someone to point out that although some adjustments in the annulment process are no doubt possible, it’s crucial to avoid the undermining of indissolubility.